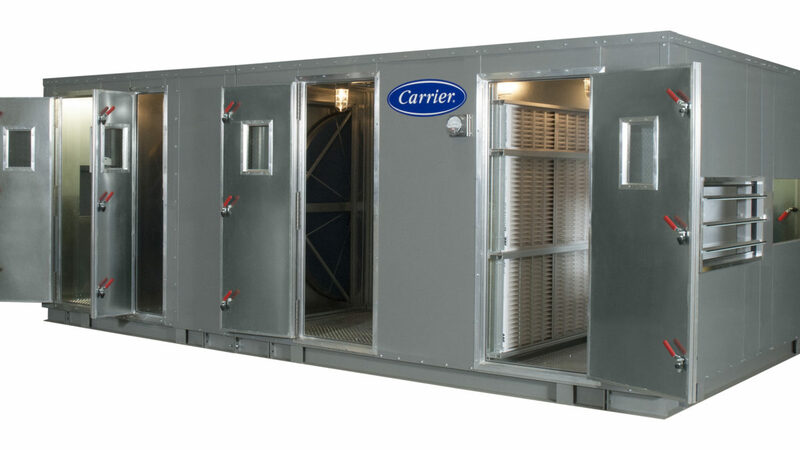 Carrier’s 39CC custom air handler allows engineers to specify optimal systems for exact needs, helping simplify installation for contractors and resulting in more efficient results for building owners and managers. It is constructed to meet specific requirements, equipped with the technology to adequately control the air quality as needed, and applied in a manner which optimizes building systems. Application considerations include healthcare, pharmaceutical, and data centers.